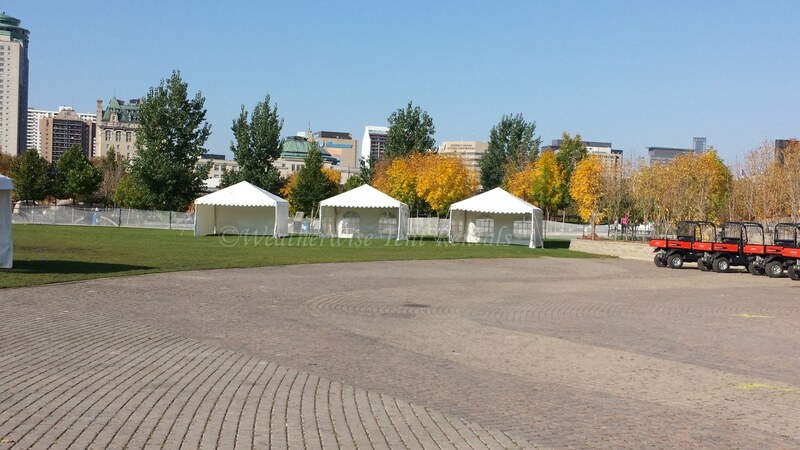 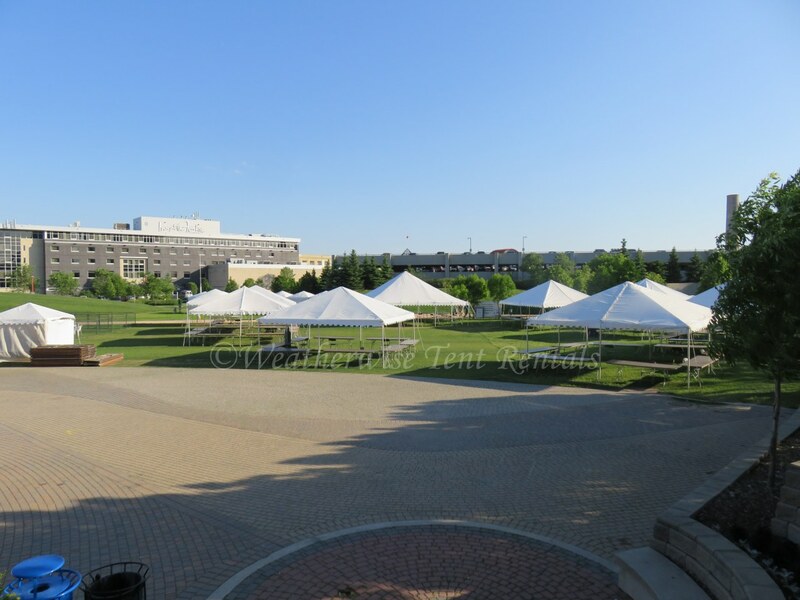 Frame Tents | Weatherwise Tent Rentals Inc.
We have manufactured frame-stye tents for use in tight areas or on surfaces where pegs cannot be driven into the ground. 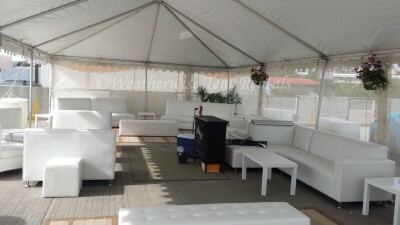 Most large tents – including most of our tents – are pole-style tents. 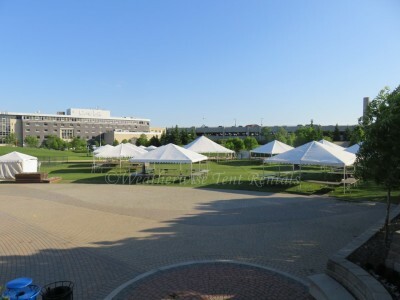 This type of tent is erected by raising the tent top on large poles. The top is then stretched on all four sides and anchored. Pole-style tents require extensive anchoring on all four sides to remain standing which is why they work best on grass. 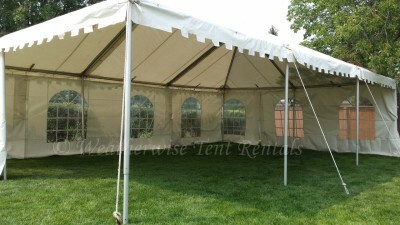 Frame tents are free-standing thanks to a self-supporting aluminum frame. 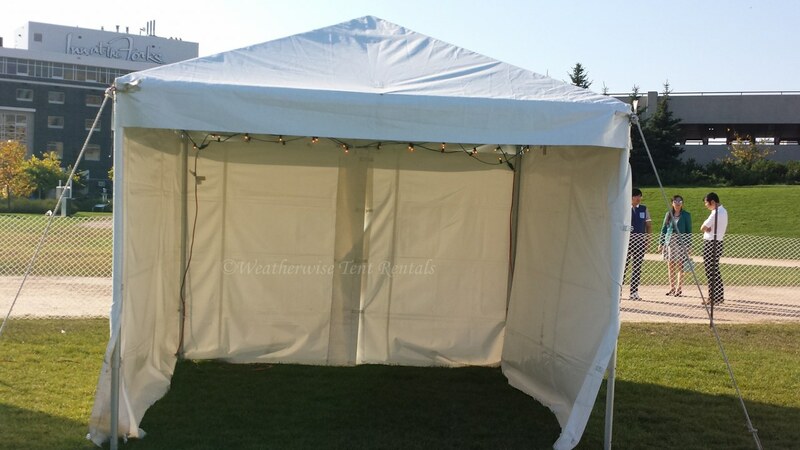 These tents are normally well-suited for tight areas because they do not require extra space for ropes and pegs on all four sides of the tent. 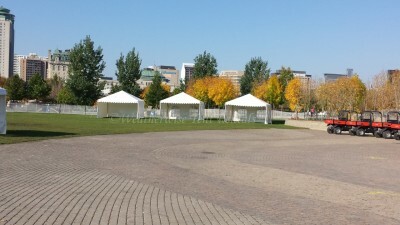 Frame tents must still be anchored to deal with wind-load, but the anchoring may not need as much room.